All of these details as minor as they are and as little impact they could give to the narrative, the more depth they give the character. 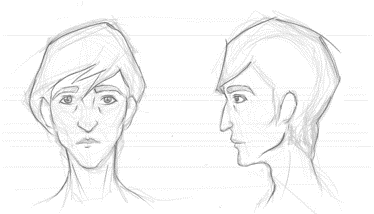 Today’s post is not just about creating realistic characters on the persona or characteristic levels. 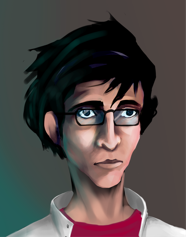 It’s rather about creating realism in characters on the visual level. 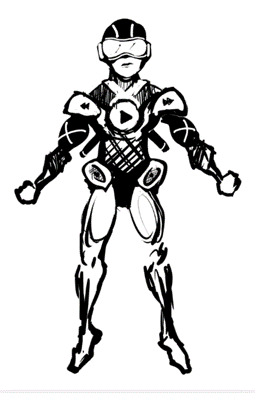 Characters are first created using sketches and simple concept art. We go through multiple iterations. Now if the game is 3D, a model sheet is created for the 3D artists to start bringing the character to 3D life. Now an interesting thing about how 3D art is created, is that characters are sculpted while having one half mirrored. What we are trying to say is that the characters end up being created symmetrical and then some imperfections are added like scars or birth marks or tattoos. However humans are visually more complex than this. 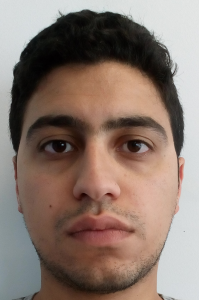 It’s quite rare to find a person’s face that is perfectly symmetrical. In order to capture these imperfections, we needed to create the characters from real humans. 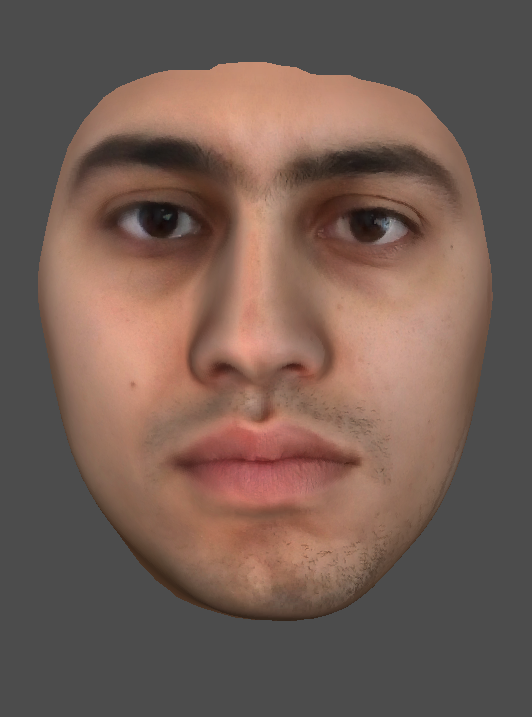 In order to do so, we started working on scanning people’s faces and from this scan we would get their textures, normal maps, and bump maps. For this process we use 3 pictures. 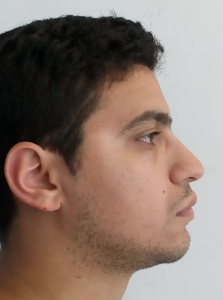 Similar to a mugshot, we take a front picture of the face, side(left picture) and side(right picture). Just like below. 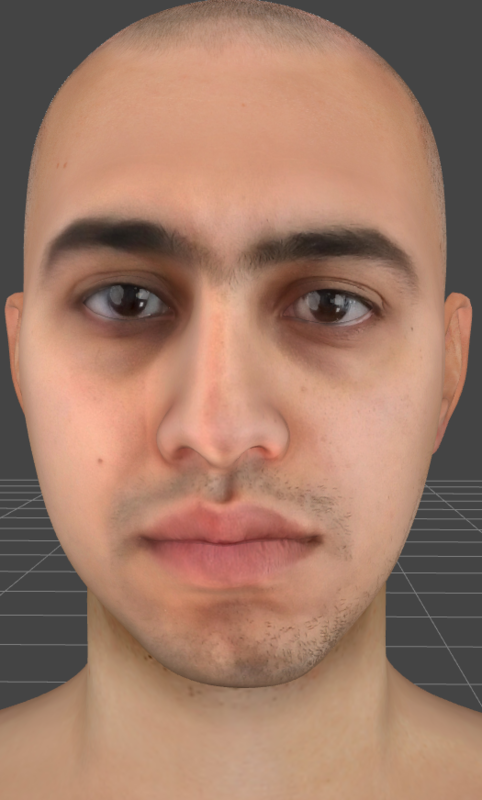 Using these two pictures we managed generate a 3D model of the surface of the face. Then we imported that into a 3D editor were we managed to rig the face and separate certain parts to be able to animate them individually (like the eyes or cutting the mouth open and adding teeth). 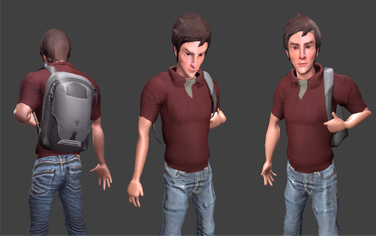 Below is the 3D generated image then the rigged model. Then comes a challenge, different render engines are used when it comes to video games. One of the challenges of rendering in video games, is that it is real time rendering. This means that you need to be able to render 1 frame every 1/60 of a second. That’s very fast rendering! The game engine we used for this test rendered the 3D model from the above image in a lower quality. Below is a wire-framed and shaded render from the engine. 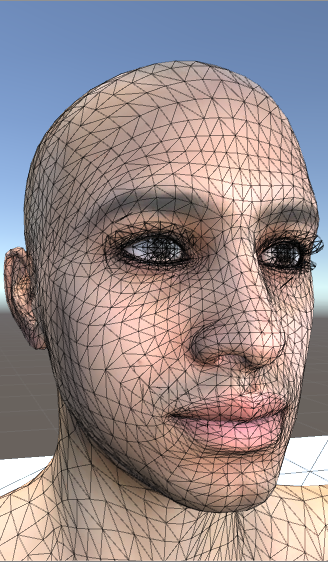 In order to solve this problem within the game engine, we managed to use skin shaders that would make the skin look more realistic and more believable, also to make the textures more lively like the render from our 3D editor. That’s a step, but we are still pushing further to achieve better rendering by trying different render engines that will be more suitable. 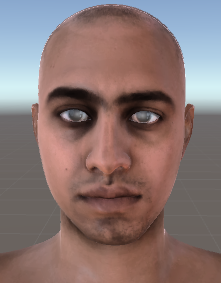 As you can see in the new game engine render we have achieved a better render for the 3D model, the skin’s reflectivness, the teary and reflective eyes. and also the hair in the eyebrows looks more believable. This level of realism is something the studio was aiming to achieve for our more mature themed games that involve a more dramatic, action-based, and serious setting and narrative. Achieving this level of realism doesn’t mean that a studio should abandon more cartoonish or unrealistic approaches. On the contrary, creating a world with a beautiful art direction and aesthetics is more challenging than creating a realistic one. Look at games like Zelda Breath of the wild, cell shaded graphics that look beautiful and calming. We at Null understand this, we should not limit our self to a direction and creativity should come first. After all we are about immersing players in the most imaginative worlds and imagination should always have a hint of fantasy. Expect a new post soon.